This tie could not come about at a better time for Manchester United to be honest, since Ole Gunnar Solksjaer has took over they have won 10 out of 11 games in all competitions. United will be boosted by the fact Neymar will be out injured for both legs of the tie and Edinson Cavani took a knock to his hip and will be out of the first leg at Old Trafford. United are likely to win the first leg I feel, after winning away at Fulham in the league and being able to rest Marcus Rashford and Jesse Lingard in the process, but I am not sure they will go through. 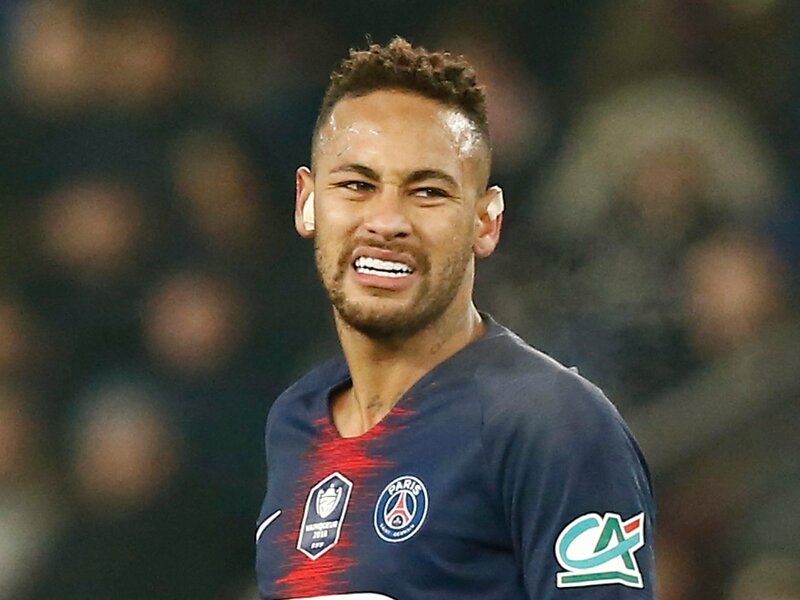 PSG, even without Neymar should have the capability to just about get through, the likes of Kylian Mbappe, Angel di Maria & Julian Draxler should have enough quality to expose what the likes of Tottenham and Arsenal (in the FA Cup) could not. David De Gea will have to be at his best in both legs if United wish to go through, if United allow as many shots at goal as they did away at Spurs in the league, then they will not advance. One thing is for sure with Solksjaer at the helm now rather than Jose Mourinho, this tie is much tighter than when the draw was first made. Roma have so far this season been underwhelming, despite qualifying from Group G with Real Madrid, but with talisman Edin Dzeko recently returning from injury, they will hope to massively improve. This is a huge tie for Roma as they are currently only sixth in Serie A on goal difference. Porto maybe surprised a few by only dropping two points en route to topping Group D and will not fear Roma by any means. Porto lost last seasons’ top scorer Vincent Aboubakar to a cruciate ligament injury early on making coming top of the group more impressive, and they are without their other top forward Moussa Marega for at least the first leg of this tie. Porto have stuttered recently in the league with a couple of draws and only lead at the top by one point from huge rivals Benfica in the Primera Liga. 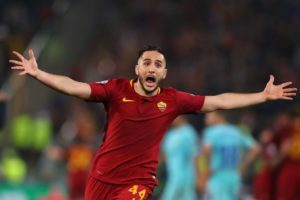 For the fact Roma have their main front man available and Porto do not have their firepower available, I am going to go with Roma to just edge the tie with important centre back Konstantinos Manolas returning to shore up the defence, as I feel they will give themselves too commanding a lead from the first leg. Ajax, have not been themselves for part of this season, and trail Erevidise leaders PSV Eindhoven by 6 points after losing away at Heracles. Ajax have been very good in the Champions League however, and came in second causing group winners Bayern Munich huge problems along the way, holding them to draws home and away. Real Madrid had also been going through a personality crisis domestically, but they are now in form with new man in charge, former player Santiago Solari. After their dismal start, Madrid have worked their way into second place, 6 points behind Barcelona after winning the derby 3-1 on the weekend away at Atletico Madrid. 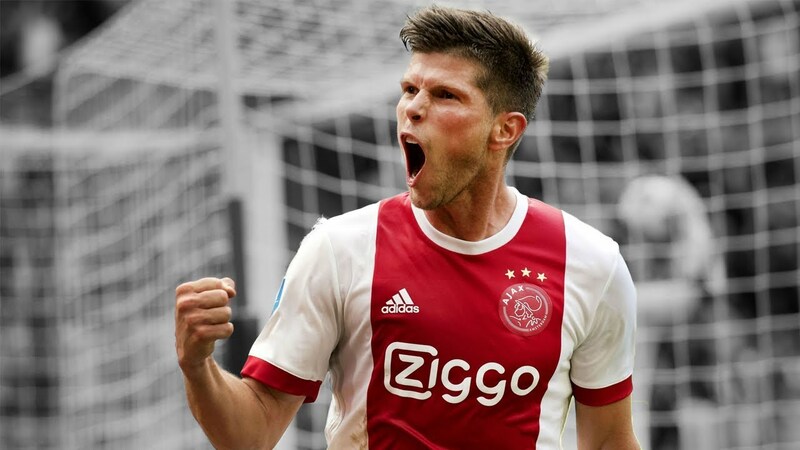 Ajax have had something about them in the Europe this season and there just may be a shock in this tie, if Ajax can get a solid win in the first leg in Amsterdam. Real no longer have the Champions League’s all time top scorer Cristiano Ronaldo and it was the knockout stages when he used to come into his own. Possible upset on the cards here. Tottenham may be without their main man Harry Kane, but they are somehow still digging out results in the Premier League, spearheaded by Son Heung-Min who thankfully for them returned early from the Asia Cup due to South Korea’s premature elimination. Borussia Dortmund still sit atop the Bundesliga, though they have had their lead cut by Bayern Munich, as they let go of a 3-0 lead to draw 3-3 at home with Hoffenheim on the weekend. This tie is very close to call, if Spurs can get through their home leg without conceding then they may have Kane back for the second leg as there is a three week gap, and would then have a great chance to advance. Dortmund themselves, have every chance to squeeze past Spurs, but I expect them to hold off Bayern for the league title, and so feel that their Champions League run may suffer because of that, I could be proved wrong nonetheless. I am going to go with Spurs just, and this overall should be a really exciting tie. Hugo Lloris will be needed to produce a display like he did at home to Leicester, as Spurs have leaked more chances this season than they usually do. This is another tricky tie to call here. 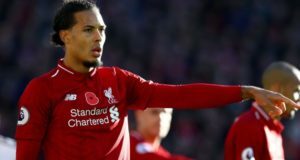 Liverpool are at loggerheads in the Premier League trying to end their domestic title drought that is getting closer to three decades, and have been hit with some injuries. Bayern started the season poorly and some felt Niko Kovac, may mot even last the season with how abject they were performing. Bayern have picked up either side of the winter break and have closed the gap on Borussia Dortmund in the Bundesliga to a more management total. In the Champions League, Bayern coasted to qualification as they were only troubled by Ajax, and they boast the competitions’ top marksman as Robert Lewandowski amassed a superb 9 goals in the group stage. Liverpool importantly have their best defender Virgil van Dijk suspended for the first leg. Liverpool’s other first choice centre back Joe Gomez is out injured and also Dejan Lovren has not returned yet from a hamstring issue. Liverpool have had many a special European night at Anfield and if they can build a healthy lead in van Dijk’s absence they could just get past an ageing Bayern team with the firepower they boast. Lyon proved to be a nuisance for Manchester City and proved me wrong in qualifying from the group. Lyon captain Nabil Fekir returned from injury not too long ago and along with Memphis Depay and Moussa Dembele, will pose a threat to a Barcelona defence that has shipped far too many goals this season, despite being top of La Liga. Lyon’s form in Ligue 1 has been inconsistent and despite laying in third, they are 16 points behind leaders Paris Saint Germain, and PSG have two games in hand on them. Lyon keeper Anthony Lopes has been in good form recently in particular having an amazing game in the league derby with Saint Etienne, and the only way they can get anywhere near getting past the last 16, is if he performs on that level in both legs and Lyon are clinical. Lyon were wasteful even though they beat and drew with Manchester City in the group phase and Barcelona are too good a team for them to get away with it again. Lyon shipped 11 goals in their group even though they are yet to lose, but that will change as Barcelona have too much quality and will knock them out overall. Even if they stop Lionel Messi, then Suarez will get them. This could be the hardest tie to call of them all. Two very similar sides square off in what may not be a goal filled tie, but is due to be tactically fascinating and could even for the most part be a war of attrition. Atleti have brought in Chelsea’s misfiring Alvaro Morata to help aid their indispensible forward Antoine Griezmann, but in the two games Morata has played, they have lost both and he has yet to find the net. Juventus, are the only unbeaten team domestically in Europe’s top leagues and will take some beating with the Champions League’s top ever scorer Cristiano Ronaldo now fronting the black and white stripes, this is what may give the ‘Old Lady’ the slight edge. This tie is the most likely to head to extra time I feel and maybe even penalties could decide it. 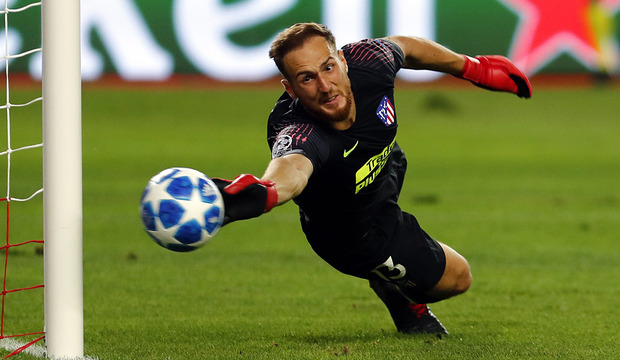 Jan Oblak is the better of the two teams’ keepers and very possibly the best in the world right now, if he performs well and Atleti can find some well needed goals then who knows, but I will reluctantly go with the Scudetto holders here to my peril. Though Manchester City like to make games more complex than they need to be in the Champions League, they will surely have enough to get past Schalke. The German outfit emerged from their group as runners up to Porto and have been a surprise package as they continue to struggle in the Bundesliga sitting in 14th. Schalke, having lost the likes of midfielders Leon Goretzka and Max Meyer, have found the vigour of competing on various fronts difficult, and their unanticipated European run is expected to end here. Manchester City have been scoring a plethora of goals with 40 in their last 10 games in all competitions and Schalke will need to be at their very best to stop them. 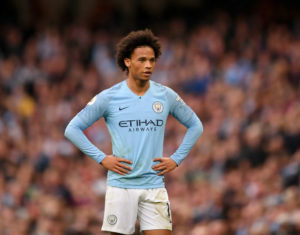 Despite being away from home in the first leg, City will want to wrap the tie up as early as possible, as the are engaged in an intriguing title race with Liverpool domestically and will want to be able to rotate for the second leg. Also, City will not want to have to get a result at home in the second leg as the atmosphere at the Etihad have been found wanting, especially on European nights. (Man City’s Leroy Sane has been in sparkling form when he has started, but how will Pep Guardiola use him over the two legs? Picture from ‘inews.co.uk’). Co-Presenter of the D&D Football Factory, Saturday mornings at 10am on ontopfm.net, (95.5FM in London). Football and Basketball fanatic. Eater of chicken.